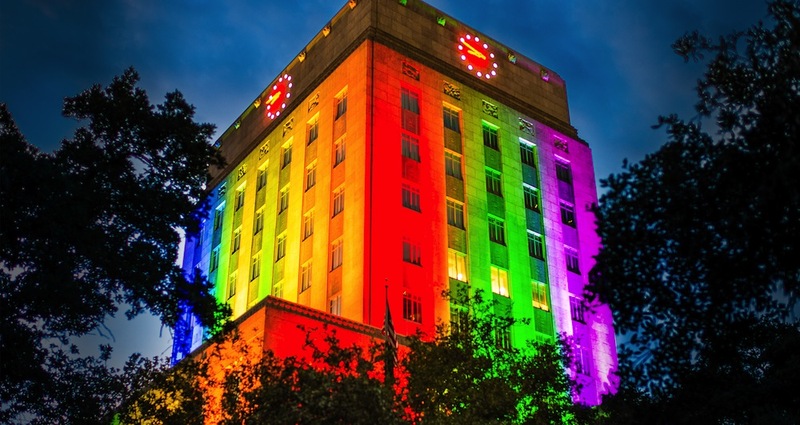 The Houston Mayor's LGBT Advisory Board serves as a direct link between the mayor’s office and the LGBT community, providing advice and recommendations on issues. On June 30, 2016, Mayor Sylvester Turner selected 49 people to serve on the City’s first Mayor’s LGBT Advisory Board. The number of board members was meant to be a symbolic nod to the 49 victims of the June 2016 Pulse massacre in Orlando. This board exemplifies the diversity of the Houston LGBT community, and consists of 21 White/Non-Hispanic members, 12 African-American members, 13 Hispanic members, 2 Asian members, and one biracial member. These individuals represent identities from across the LGBTQ spectrum—including representatives from the gay, lesbian, bisexual, queer, transgender, intersex, and straight ally communities.